As a B.R.A.G. Medallion Honoree, my novel is now on the indieBRAG home page (see the link below) which I’m naturally thrilled about. What’s more, I got a personal note from IndieBRAG’s president explaining how she was so intrigued by my book, that while her reviewer still had it, she started reading another copy. She loved it so much she began chatting about it to others at indieBRAG before she could reveal the title! I’m honored and excited. IndieBRAG is doing wonderful things, pairing me with reviewers and interviewers, publicizing signings and lifting my novel to a whole new level of exposure as an award-winning book. I’m already set for my first blog interview, the book with links is on the IndieBRAG website, and new 5-star reviews are posted at Goodreads and Amazon as well as Barnes & Noble’s website for Ereaders. If you haven’t yet heard of indieBRAG, it’s a well-established website for recommendations on independently and self-published books, B.R.A.G. being an acronym for book readers appreciation group. IndieBRAG does not sell books, but you can click through from its website to make purchases, and it’s a great resource for readers and authors alike. What do their reviewers look at? On the indieBRAG website, you’ll find a comprehensive list of criteria: writing style, plot, characters, dialogue and copy editing. And indieBRAG does not take payment for reviews (which some sites disguise as “sponsored reviews”). The only cost to authors at indieBRAG is a small processing fee, which guarantees you absolutely nothing. In fact, the odds are stacked against you. I know from my own experience that their reviewers had my book for well over two months, ample time to read and scrutinize it. In fact it had been so long, I’d almost forgotten about the submission, so the notification came as a great thrill. On the indieBRAG website, my book will eventually appear under Literary Fiction, but for now, it’s on the site’s home page with the newest honorees and–even better–will be singled out for special feature in the near future. How cool is that? I’m excited to explore the other books on indieBRAG, and I’ve got my eye on one in particular for purchase. I hope you get a chance to visit the site too. There are so many books out there, especially in the exploding world of self-publishing, who wouldn’t appreciate recommendations? To check out my book on the website, go to indieBRAG’s home page and scroll down to the new honorees. This entry was posted in Books, News and tagged 5-star review, Amazon, award-winning, B.R.A.G. Medallion Honoree, Barnes & Noble, exposure, gold icon, Goodreads, indieBRAG, interviews, Literary Fiction, reviews, the god of sno cone blue by Marcia Coffey Turnquist. Bookmark the permalink. Fantastic news, Marcia— I’m nearly through The God of Sno Cone Blue, and it’s one of the best books I’ve ever read! Can’t wait to find out the answers to so many questions. Multi-layered and complex, Sno Cone Blue is keeping me awake at night (reading). Thanks Marcia, and congrats again on your novel’s success. 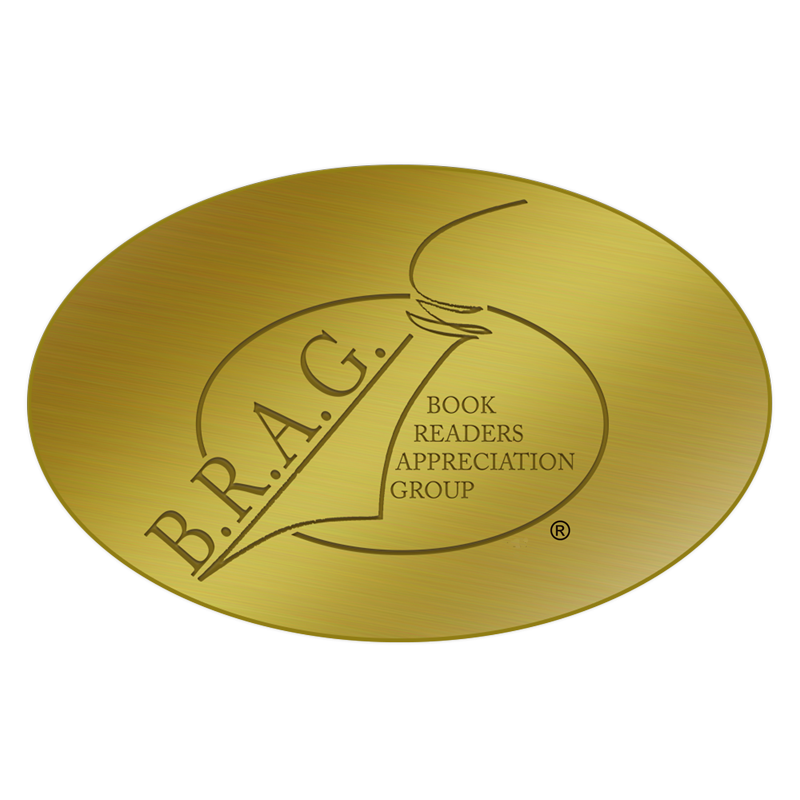 Thank you so much for bringing indieBRAG to the attention of your readers. It is an honor for us to include books such as yours on our website. It is our goal to help the diamonds rise to the top of the coal heap -and your book is certainly one of those gems! It’s my pleasure Geri. I can see why indieBRAG is building such a following. Since the very first email, you’ve been awesome answering my questions and helping to promote my book. I look forward to submitting novel number two one day soon! Hey . . . way to go, Marsh! I’m so happy for you. This may be the big break you needed 🙂 Don’t forget me when you become famous! Hope your empty nest is well. Thank you, and I sure hope so. What was your name? Ha ha.